Undoubtedly, Apple hit squarely with its strategy of opening stores start to get themselves directly, without intermediaries, to consumers. The competitors of bitten apple slow to react, but companies like Microsoft and Samsung also now have their own stores, located in different geographical locations, which keep the odd resemblance to Apple. There are also rumors that Google could point to "this fashion" later this year, with the opening of its first stores at Christmas, coinciding with the possible launch of its augmented reality glasses. Apple does not hesitate to invest much of their profits in the construction of new international institutions. Only in Spain was opened six new stores during 2012. The main market is now Apple wants to conquer China, which is giving more of a joy to the Californian company since he got close agreements with the Chinese government and two leading telephone companies of the territory. The firm Asymco has analyzed the international strategy followed by Apple last year. According to the report published by the firm, the company opened a total of 41 stores in 2012. Only in 2008 exceeded this figure with the opening of 47 local stationed in different parts of the world (recall that Cook claimed in the last financial results conference call, which is increasingly more open Apple stores abroad than in the U.S.) . Apple in 2012 totaled 19 billion dollars of sales profits obtained directly through its stores. A great growth when you consider that in 2007 the figure was 4.7 billion dollars. 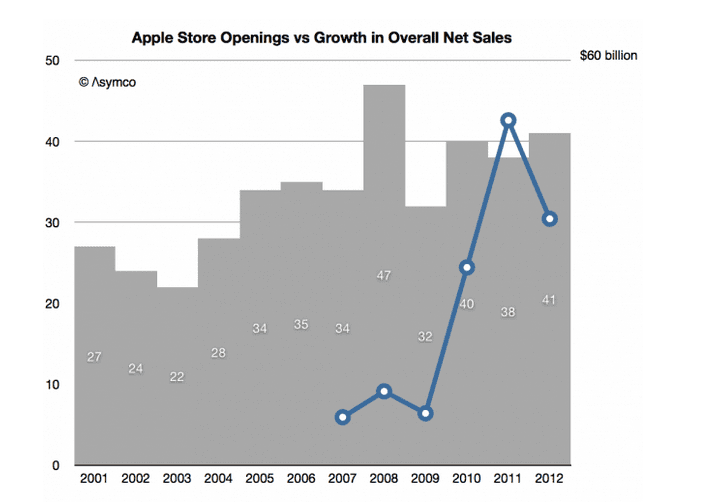 Yes, the study highlights that Apple now enters more money than before and is opening stores under its growth rate. With these data we can see the success that Apple had with its strategy of selling its products directly through its own premises. 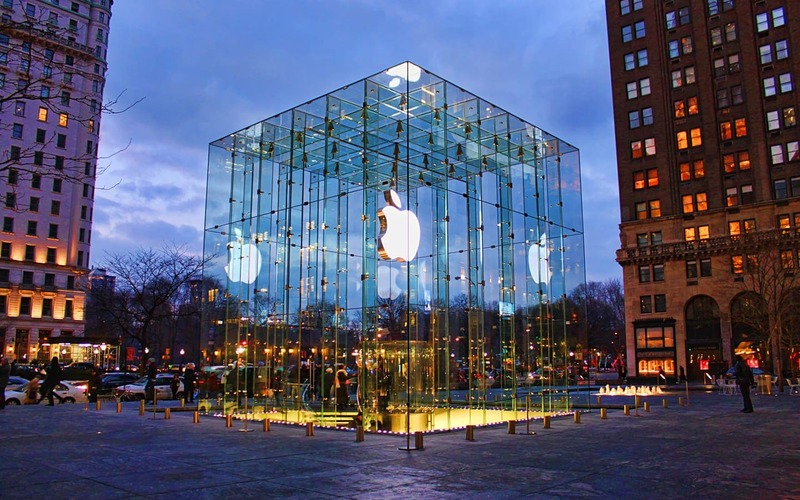 Article figures Apple stores in 2012 was originally published in News iPhone .